Wow, has it been a month since the last post? Apologies for the radio silence over here–we are closing in on the final weeks before the opening of our summer exhibitions (June 20th for members, June 21 for the public!) and all of the troops have been rallying to perfect install and content before our guests arrive! I had to return to the blog today to pay tribute to Massimo Vignelli, who passed away in New York yesterday at the age of 83. Vignelli was a design visionary, executing some of the most iconic graphic programs of the 1960s and 1970s, and renowned especially for promulgating the International Typographic Style through his many designs for advertising, corporate identity, and packaging. With his company Unimark, and later Vignelli Associates, he launched graphic identity systems for Knoll (1967), American Airlines (1967), and the New York City Transit Authority (1970), as well as the iconic “Big Brown Bag” logotype for Bloomingdales (1972). Cranbrook Art Museum holds in its collection the 1970 subway map Vignelli designed for the New York City Transity Authority, which was inspired by the rational graphic forms of Harry Beck’s 1931 London Underground Diagram. “A different color for each line, a dot for every station. No dot, no station. Very simple,” Vignelli recalled in his monograph From A to Z. 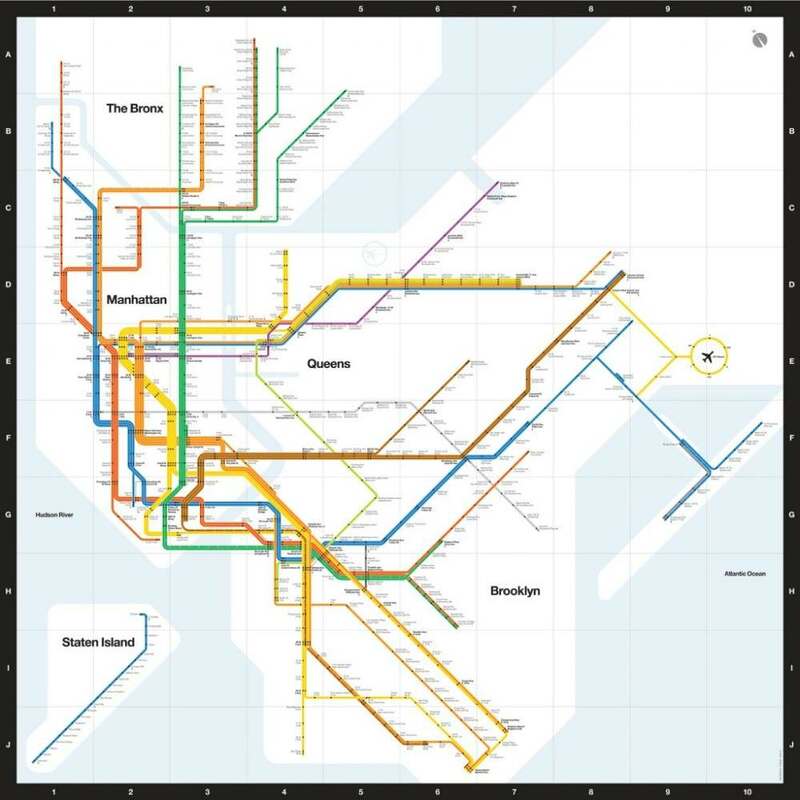 Although no longer in use–it was employed by the NYCTA from 1972 to 1979 before being replaced by Michael Hertz’s more topographic rendering–the map remains an icon of the designer’s office. It was featured in the 2007 documentary Helvetica, and here you can view a segment of the film in which Vignelli discusses the work. 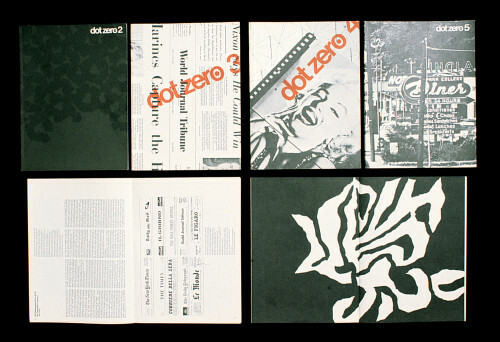 Dot Zero Magazine, 1966-1968. Image via designarchives.aiga.org. Comprehensibly sober in its approach, the magazine was a vehicle for showcasing the visual allure of the rigid grid layout, black-and-white color scheme, and Helvetica typeface. The editorial content emphasized a highly intellectualized examination of design, featuring essays authored by Marshall McLuhan, Umberto Eco, and John Kenneth Galbraith. As is often the case with artistic publications of its kind, the print run was quite limited, so back issues are hard to come by–but that’s why we have the internet: samplings of the spreads can be viewed here and here. The design community has truly lost one of its most beloved and influential champions, and he will be sorely missed. Fondest of farewells, Massimo.